One of the greatest things about Axis & Allies and games like it is the ability of the average gamer to modify it to their liking with house rules. Unlike many war games where statistics are printed on counters, you often need very little to mod A&A; a new plastic piece, a printer, a little paint and a well written house rule is all it takes. As a game designer, and someone who manages a lot of our freelancers, I’ve learned a few things about writing rules…and house rules…to make life easy games flow smoothly. In this article, I’d like to give you my BIG FIVE rule writing maxims to help you make your house rules come to life. TACTICAL RULE: When a submarine attacks a ship the ship gets a roll to spot the submarine (1-2). If it is successful the ship gets to fire first with its depth charges and the submarine is forced to retreat and cannot fire. The reason I’m not a fan of this rule is because what you are simulating with a single die roll from a submarine is six months of operations across a broad swatch of ocean, not a single submarine attacking a single ship. 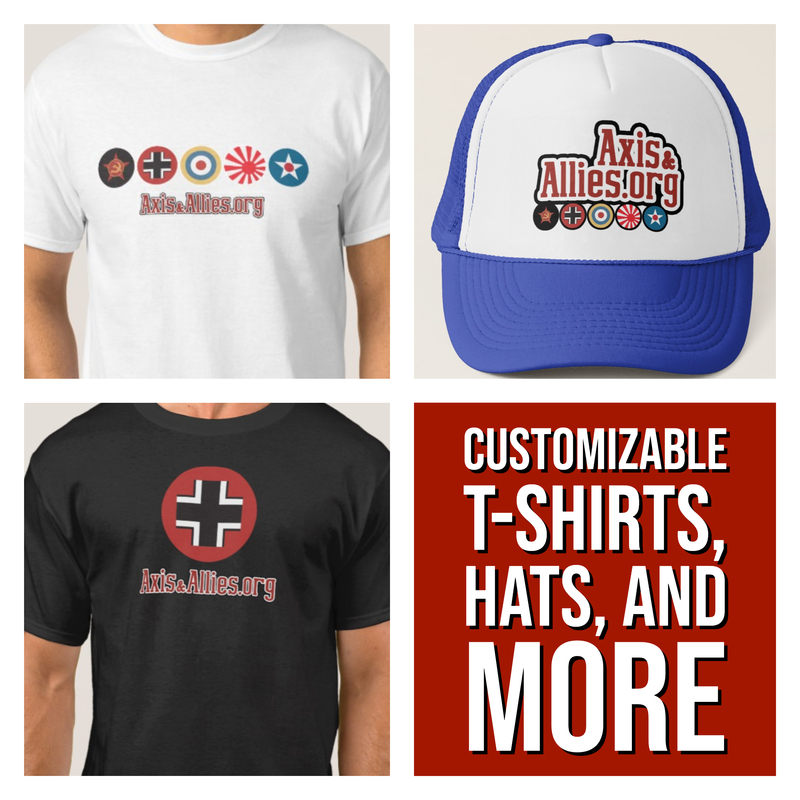 Therefore your attack or defense die roll encompasses everything that would be factored into the strategic operations of 25-50 submarines. Weighting this one part of the encounter (spotting a submarine) puts too much emphasis on one aspect of combat without considering the other factors that might apply (weather, supply etc..). Do not write rules with a lot of exceptions and caveats in them. The problem isn’t just one rule with a lot of “ifs and or buts” its once you start getting several of these that problems compound. Soon the volume of information becomes way too much to remember. BAD CAVEAT: A submarine suffers a -1 to convoy raiding damage if along the US or British coast so long as the adjacent enemy land zone has at least one fighter, and there are not any enemy fighters in an adjacent zone and there hasn’t been a strategic bombing raid on the zone for one turn. The Bad caveat goes out of its way to simulate the availability of aircraft for anti-submarine operations. Can you imagine six or seven rules with that much complexity. And I don’t begrudge you if it’s your thing…but why? Why not assume as in the “good caveat” example that there are inherent coastal defense networks in place to screen for submarine activity. You must write rules like they are computer code. If you use terms that are vague, or have more than one meaning you will confuse readers. Your terms should be consistent through your document. VAGUE: A player that has air superiority gains a +1 attack bonus. After reading this rule I’m left asking, “what is air superiority.” Is it more fighters than the opponent, or more aircraft, or having aircraft where your opponent has none? And is it the player or the nation that he is taking a turn with gets the bonus. And is it an ATTACK bonus only or does he get it on defense too? CLEAR: If one nation has fighters in a combat, and the opponent does not, all fighters gain a +1 Attack or Defense bonus. Just because things happened a certain way in real life doesn’t mean you have to make them happen that way in the game. RAILROAD RULE: The US and Britain can only amphibiously attack France in Normandy or Picardia and not until turn 15. NON-RAILROAD RULE: After any successful invasion of Picardia or Normandy the U.S. and Britain may bring over 2 additional units from England. As you can see, one rule focuses on making sure D-Day happens at exactly the right time and place, while the other makes it highly likely the British and US will take advantage of the short distance across the English Channel invade. Every time I write a rule that railroads things I definitely get more feedback from folks who dislike the constraint than I do from people who love the realism. This final aspect of rule writing is really up to the players that make up the gaming group and what kind of things are important and how much historical reality is relevant to and desired in the game. There is of course, no upper limit of reality and no end of rules you can write to simulate it. I find the best rules are short and sum up “reality” into a single dice roll but I also like rules that help tell the story of the war. When writing Global War for instance, I added rules about the Baltic-White Sea Canal and the Northern Sea Route, not because they were strategically vital but they gave possibility to strategy to the game, meaning to the top of the map and were some of the more interesting provisions of the Molotov-Ribbentrop Pact. So now you have my FIVE tenants for making great house rules – but don’t be constrained by them. Go fourth and make the rules as you like to play them. 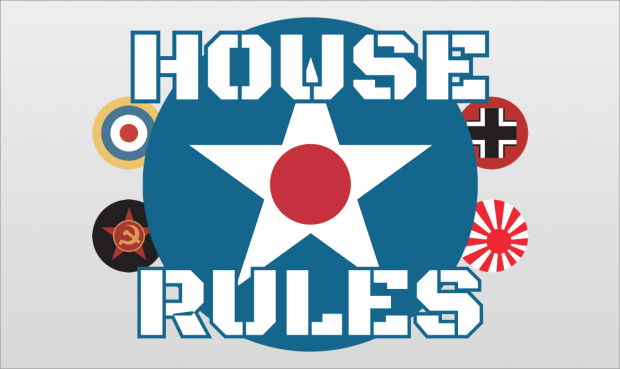 If you have a great house rule you’d like to share, hit me up on the Global War Facebook page. Will Henson is a freelance game designer and co-creator of GLOBAL WAR 1936-1945, and the game’s more than 20 expansion modules His upcoming game GLOBAL WAR 2025 will release this summer from Historical Board Gaming.